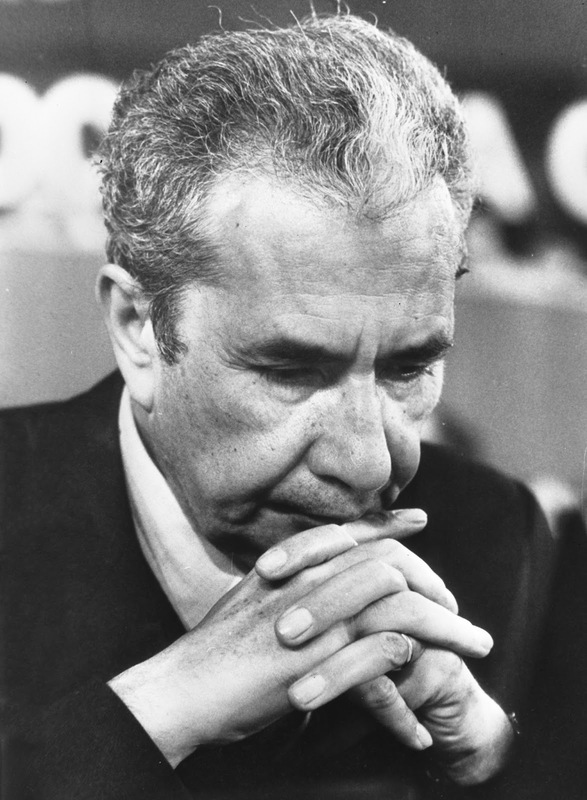 Italy and the wider world were deeply shocked on this day in 1978 when the former Italian prime minister, Aldo Moro, was kidnapped on the streets of Rome in a violent ambush that claimed the lives of his five bodyguards. 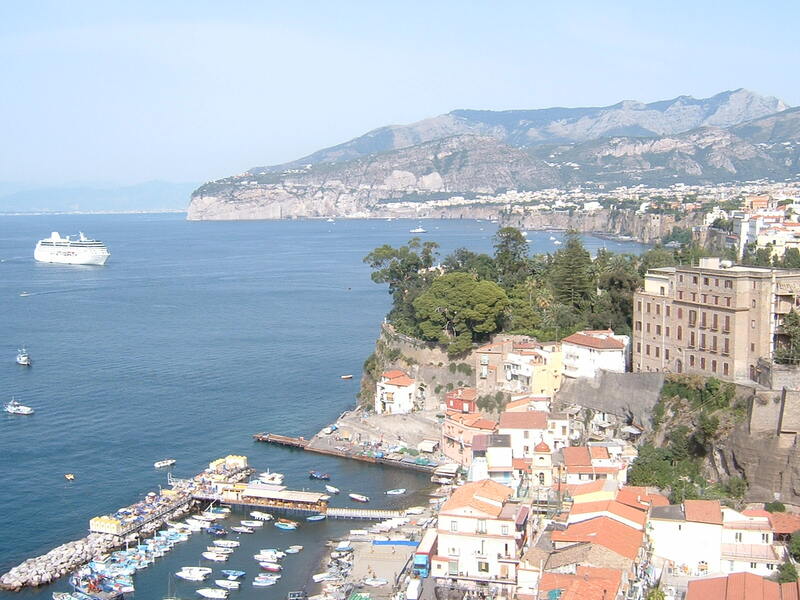 The attack took place on Via Mario Fani, a few minutes from Signor Moro's home in the Monte Mario area, at shortly after 9am during the morning rush hour. 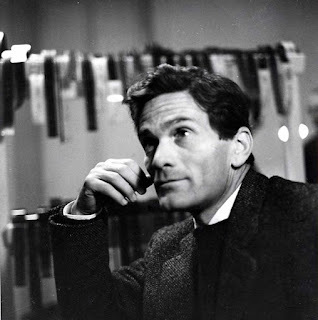 Moro, a 61-year-old Christian Democrat politician who had formed a total of five Italian governments, between 1963 and 1968 and again from 1974-76, was being driven to the Palazzo Montecitorio in central Rome for a session of the Chamber of Deputies. 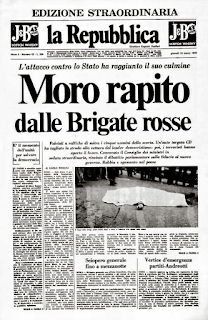 As the traffic forced Moro's car to pause outside a café, one of four small Fiat saloon cars used by the kidnappers reversed into a space in front of Moro's larger Fiat, in which the front seats were occupied by two carabinieri officers with Moro sitting behind them. Another of the kidnappers' Fiats pulled in behind the Alfa Romeo immediately following Moro's, which contained three more bodyguards. At that moment, four gunmen emerged from bushes close to the roadside and began firing automatic weapons. Moro's five bodyguards were killed before he was pulled from his vehicle and bundled into another of the kidnappers' cars, which had stopped alongside and was then driven away at speed. Soon afterwards, responsibility for the kidnapping was claimed by the Red Brigades, the notorious left-wing terrorist organisation that had been carrying out violent acts since the early 1970s, aimed at destabilising the country. Moro was held captive for 55 days before his body was found in the boot of a Renault car in Via Michelangelo Caetani in Rome's historic centre on the afternoon of May 9 following a tip-off. 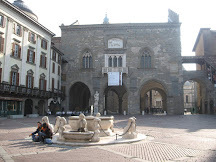 During his period of captivity, members of the Red Brigades communicated with the authorities that Moro had been tried and condemned to death for what they perceived as his "political crimes" but that they would consider a pardon in return for the release of 13 members of the organisation, including the founder, Renato Curcio, who were on trial in Turin. However, the state's position was that it would not negotiate with terrorists, despite personal pleas from Moro himself. Numerous attempts to locate his place of imprisonment were unsuccessful. The authorities ultimately identified 10 individuals involved in the kidnapping, eight of whom were arrested. The motives for the kidnapping appeared to be linked to Moro's role as a negotiator between the Christian Democrats and the Italian Communist Party - the PCI - who at the time were gaining considerable support in Italy as a left-wing group who supported democracy and parliament. Moro was an advocate of the so-called 'historic compromise' between the two ideologically-opposed groups. The PCI had condemned the Red Brigades for their violent tactics and revolutionary aims and in turn the Red Brigades had accused the PCI of allowing themselves to be manipulated by the right. 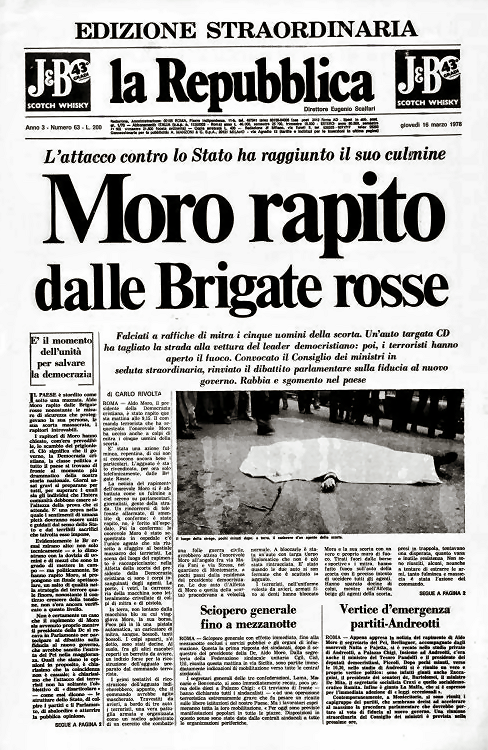 On the day of the kidnap, the Chamber of Deputies had been due to vote on an alliance between the Christian Democrats and the PCI, brokered by Moro in what became known as the 'historic compromise', that would have given the Communists a direct role in Italy's government for the first time. The Red Brigades are said to have wanted this process to be derailed and if this was their objective they succeeded. A vote of confidence in Prime Minister Giulio Andreotti's right-wing coalition government went ahead as planned later in the day and Andreotti won with a large majority, with even members of the PCI voting with him in the interests of national security and stability. Yet although there were four subsequent trials relating to the Moro murder and 38 years have passed, conspiracy theories still circulate that forces other than the terrorist group were involved. 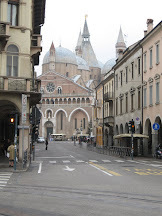 Given that the kidnap took place with the Cold War between east and west still a long way from resolution, the most popular theories link his death with American opposition to the involvement of the PCI in any Italian government, preferring Italy to retain its position as a bulwark between western Europe and the Eastern Bloc which it bordered. 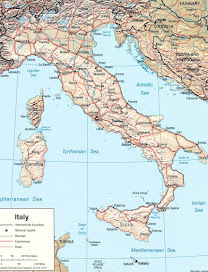 Others suspect the involvement of the subsequently outlawed Masonic lodge Propaganda Due, which had among its members many politicians, industrialists, prominent journalists and military leaders who saw the Italian communists as a threat. Visitors to Rome can pay their respects to Aldo Moro at a modest monument in Via Michelangelo Caetani, close to the place his body was discovered. 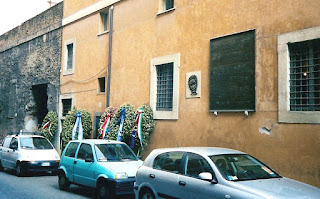 There is a plaque and a bronze bas-relief portrait on a wall opposite the Palazzo Caetani. The street can be found in central Rome a short walk from the Largo di Torre Argentina, scene of the death of Julius Caesar on 15 March 44BC. 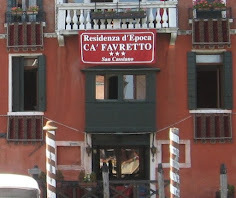 A plaque in Via Mario Fani remembers the five policeman killed in the kidnap. Aldo Moro was born in the far south of Italy in Maglie, an inland town of just under 15,000 inhabitants in Apulia, in the Province of Lecce. 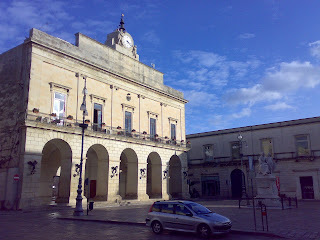 The historic city of Lecce, famous for its baroque architecture, is 25 kilometres to the north. 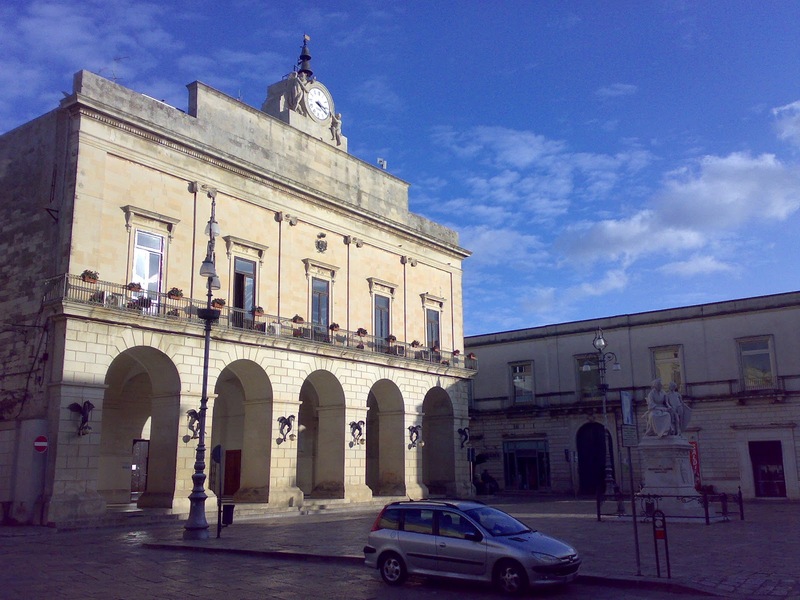 Moro has been honoured with the naming of a square, the Piazza Aldo Moro, in the centre of the town.